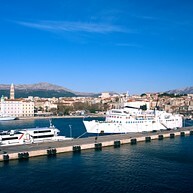 The coastline of the Atlantic Sea cradles the elegance of the historical city of Split. 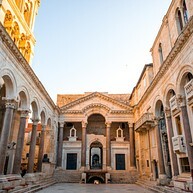 Chosen by the Roman emperor Diocletian as his city of residence, Split accommodates his Palace, an over 1700 years old giant that comprehends an intricate complex of quaint alleys and square. Due to its vastness and impressively excellent conservation, the ancient colossus can be referred to as a city within a city. While the charm of the city's historical sites captivates the multitude of holiday-makers who flock to Split throughout the hot Croatian summer, the unspoiled nature and crystalline waters just make them fall in love. The people of Split claim that their city is "the most beautiful one in the world and beyond," and the well spirited Split aims to convince you of this! The city is full of life and soul, and the friendly local people of Split are waiting to welcome you with open arms. 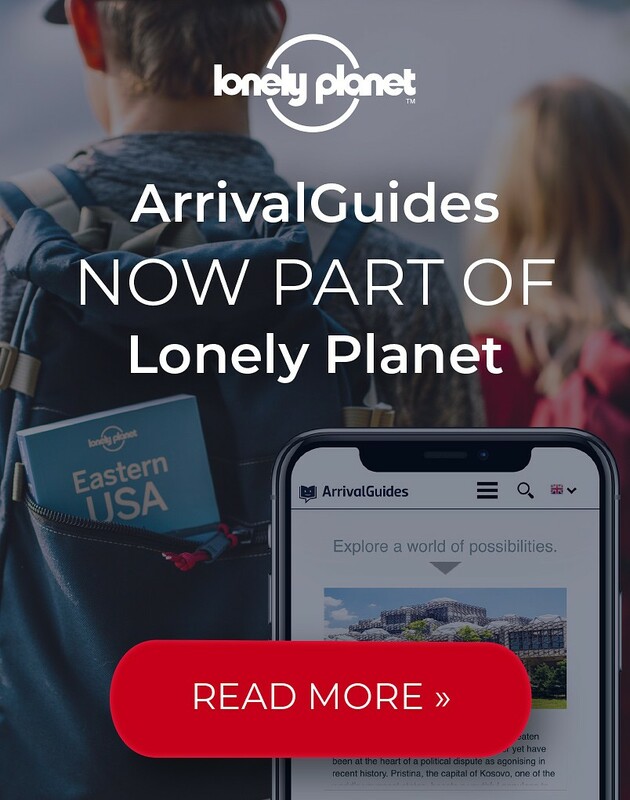 Only a few cities in the world can offer such variety of entertainment and excursions in their closest surroundings as Split. 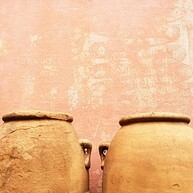 The ancient walls of the Old City encircle squares, crescents and architectural beauties that create a cultural hub for the travellers to discover. 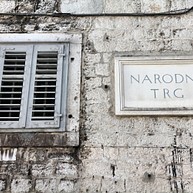 Split has a rich history as you will notice when exploring the city. Here you will find historical sites like The Cathedral Of St. Domnius, Pjaca Clock Tower and Diocletian’s Palace to name a few. Split has also a beautiful nature, its crystalline waters, long stretches of white beaches and a green lung embedded in the peninsula are a major draw for nature-lovers, offering hundreds of options for outdoor activities or water-sports. 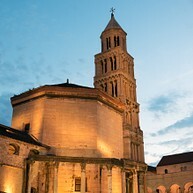 Thanks to its stunning surroundings the captivating city of Split has beautifully developed around tourism, creating a destination where its natural peculiarities have been enhanced by a vibrant atmosphere of bars, restaurants and shops. Situated within the Diocletan Palace´s walls, St. Domnious Cathedral is shrouded in history. Created as a mausoleum, it is currently one of the oldest Catholic Cathedral still in use and, with its peculiar octagonal-shaped building, it has an immeasurable artistic value. It was in this Cathedral that the remains of the Emperor disappeared after they had rested there for 170 years. 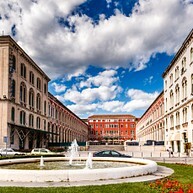 Narodni Trg, the pulsing heart of the city, buzzes with life and artistic landmarks. The iconic Clock Tower and the majestic Town Hall (which has been turned into an ethnographic museum) dominate the square, imposing their figures to the astonished passers-by. Perfect for a leisurely stroll, it also features dainty cafeterias and bars. Rich in archaeological finds and artefacts, the Croatian Maritime Museum is situated at the 17th century Gripe Fortress. Catch a glimpse of the artistic beauties long lost in sea, the exhibitions show how the maritime community had formerly a big influence throughout the Adriatic Sea. The Archeological museum boasts a comprehensive display of Illyrian, Greek and Roman artifacts, offering a complete overview of the country´s history. One of the highlights of the visit is the library with 30,000 books regarding archaeology and history. Ivan Mestrovic Gallery is a neoclassical building originally intended to be the home of the famous artist, now housing an impressive collection of his artworks. The permanent display features beautiful architectural projects, drawings and sculptures. The museum houses a great collection that presents the cultural and historical heritage of Split, giving an expansive glimpse into the city's past. Including sculptures, paintings and diverse artworks, it is set in a 14th century palace. Guided tours can be arranged in advance. 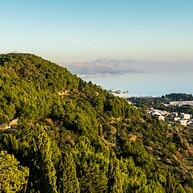 A sweeping portion of Split peninsula is covered by a thick Mediterranean flora that creates the Marjan Forest Park. An intricate knot of walking paths unwinds down the hill where the forest is set and where hike-enthusiasts head to, looking for suggestive excursions. Jadrolinija ferry terminal is a great take-off platform from where to take a ferry ride to the surrounding islands. 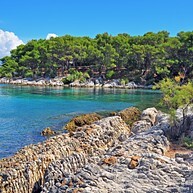 Hvar is one of the most-coveted destinations which include historical sites and beautiful beaches. Brač, a white, pebbly beach, perfect for surfing, follows right after Hvar, whereas Korkula Island is mostly visited for its medieval towers and walls. Bakvice is the closest beach to Split´s downtown and, though it gets extremely crowded over summer, it is a delightful spot to relax under the scorching sun. This sandy beach offers many shady solutions like the pretty cafes where you´d likely experience the locals playing picigin, a game that sees its origin here in Split. A secluded cove in the northern coast of Marjan Forest Park - Bene Beach doesn´t resemble the sandy Croatian beaches but boasts its one-of-a-kind charm. A long excursion through the forest will lead you to its pebbly seafront, where you will be able to rest your feet into its clear water, surrounded by untouched nature. A restaurant is also located a few steps away. Dominating Nardoni Trg Square, Pjaca Clock Tower imposes its figure with its impressive 1700 years of history. The tower´s impressive height can be walked up a steep stairway, that culminates in a breath-taking view of the Old Town and its vibrant flow of people. The fashionable Riva is where to be headed for a stroll, blessed by the sound of the waves crushing to the shore and the scent of seaweed in the air. The seafront promenade presents coffee shops and bars, representing the perfect destination to be seen and to observe the curious stream of people passing-by. Buzzing with people throughout the hot season, Trg Republike (Republic Square) is where concerts and festivals are held. The square, constructed in a peculiar Venetian style, is a well-renowned gathering point, being a great spot to sip a coffee and sample some traditional cuisine at the quaint eateries and coffee shops. Nothing extremely thrilling can be said about this statue, which, located in front of the northern gate of the Diocletian Palace, rises up celebrating bishop Grgur who firmly opposed the Pope and introduced the Croatian language into Catholic services. You may want to stop by though: its well-polished big toe is said to bring good luck for those who rub it. The ancient prison, a tangle of underground chambers concealed underneath the Diocletian Palace, is now open for special events only. 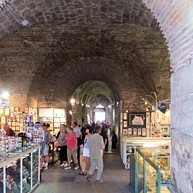 The main alley that links the cells together, open daily, treats the tourists with an array of picturesque stalls, well-equipped with souvenirs and artworks of any sort.